This is a free meet-up you will receive one complementary drink. Join Florida Tesla Enthusiasts for a meet-up at 1 Hotel South Beach at 1 The RoofTop Lounge on Friday, June 24th from 5-9 PM. 1 Hotel South Beach is a luxury boutique resort that occupies an entire city block on Collins Avenue, South Beach Miami and sits directly on 600 feet of pristine beachfront. It is located at 2341 Collins Avenue, South Beach. 1 RoofTop is an adults-only area for 21 and older. It includes a rooftop pool, bar and lounge. The hotel management is inviting our club and Tesla owners to join them 18 stories above the ocean at 1 RoofTop to enjoy a complementary signature cocktail. The hotel has three full power Tesla High Power Wall Connectors in their driveway and they use Teslas as their house cars. They are offering complementary valet service for Tesla owners. 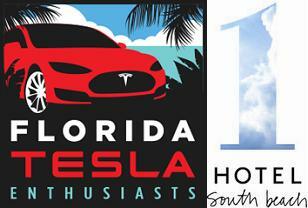 This is the perfect place for Tesla owners in our Southeast Region to meet. 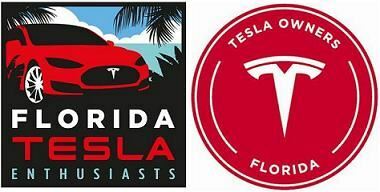 If you are not a Florida Tesla Enthusiasts club member you are still welcome to join us at this public meet-up. If you are not a member, we also encourage you to join by clicking on the Join Us link.